Picture Perfect Princess Aurora Costume « Adafruit Industries – Makers, hackers, artists, designers and engineers! 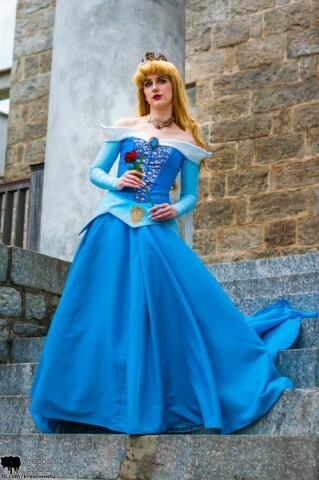 Princess Aurora of Disney’s Sleeping Beauty has one the most striking princess gowns (the blue version is best), and cosplayer Dessi-Desu recently decided to design and make her own take on the dress. 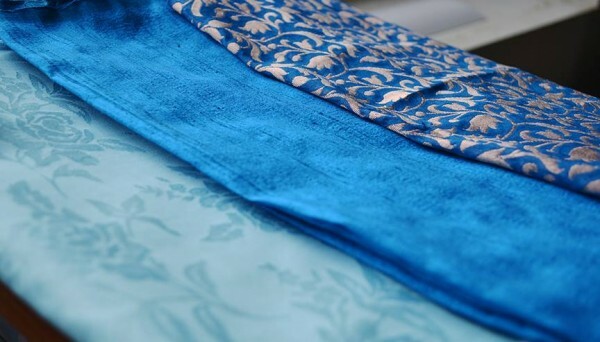 She kept the basic shape seen in the animated film, but she added texture by including different fabrics – one has a floral motif and another has gold vines. She used the Simplicity 5006 pattern for the corset, added piping details, and then used a stretch fabric for the sleeves to it would fit closely to her arms. To make the costume more her own, she also embellished the collar with pearl trim and appliques and a brooch. Sleeping Beauty has a ton of visual language in the dialogue. I decided to play up on the rose motif used to describe Aurora, and add some roses to my crown and necklace. 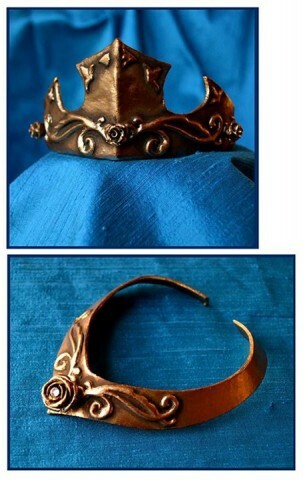 The crown still needs the rhinestones added on, but other than that it’s done! Pieces were made with worbla, flourishes from the scrapbooking department, and the roses are beads. See more photos at Dessi-Desu’s Facebook page.